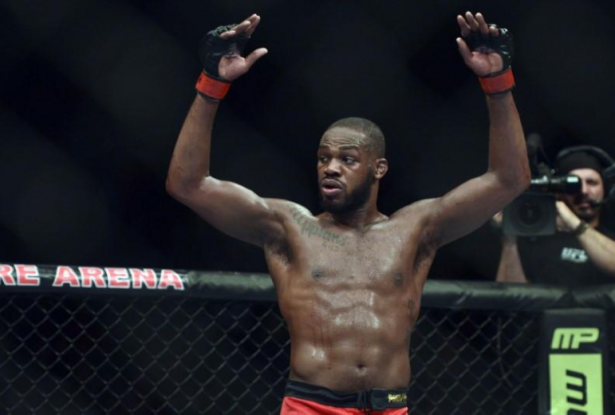 UFC light-heavyweight champion Jon Jones, who beat Daniel Cormier to reclaim the title on July 29, could be stripped of his crown once more after the organization announced that the American had failed a drugs test for a second time. Originally stripped of the title in 2015 following a hit-and-run incident, the 30-year-old was due to fight Cormier for the belt in July 2016 but was banned for a year after testing positive for two banned substances in the run-up to that bout. Last month's UFC 214 title fight against Cormier, which he won via a third-round TKO, was his first since the ban ended. "The UFC organization was notified today that the U.S. Anti-Doping Agency (USADA) has informed Jon Jones of a potential Anti-Doping Policy violation stemming from an in-competition sample collected following his weigh-in on July 28, 2017," the UFC said on its website. "Jon, his trainers, his nutritionists and his entire camp have worked tirelessly and meticulously the past 12 months to avoid this exact situation," the fighter's manager Malki Kawa said in a statement. "We are having the samples tested again to determine the validity or source of contamination." Cormier also expressed disappointment upon hearing the news of Jones' positive test. "It's hard to find words to describe how I'm feeling right now," Cormier told MMAFighting.com. "I'm disappointed to hear the news. It's very emotional. "In my mind, on July 29, I competed and I lost. I thought Jon Jones was the better man that day. I don't know what to think anymore. I can't believe we are going through all of this again. We will see what happens next." Jones is considered by many to be one of the best mixed martial artists of all time, winning 23 of his 24 contests with his only loss coming via a disqualification in 2009.